After World War I the world continued to change. Before the Great Depression of 1929, the depression of 1920–21 greatly affected the country. An extremely sharp deflationary recession in the United States and other countries lasted from January 1920 to July 1921. In 1921 Adolf Hitler became Führer of the Nazi Party, and the Union of Soviet Socialist Republics (USSR), the world's first officially Communist state, was formed. The chiropractic world was also changing. The Texas Chiropractic College continued to educate and prepare Doctors of Chiropractic for practice. Graduating from Texas Chiropractic College on January 5, 1921, Harvey Wright Watkins, mid-way through his teenage years, became the youngest person to earn a DC degree from an organized chiropractic college. The first state-wide public relations program for chiropractic in Texas came about when the Texas State Chiropractic Association decided in 1921 to ethically advertise for the profession. Chiropractic doctors were signed up to donate 1/26th of their monthly gross to an advertising fund. Even though 1921 was a deep depression year and the economy lagged, most Texas chiropractors supported the program, and enough money was raised to place regular ads in 38 newspapers across Texas. Beginning in 1922, however, the medical doctors began an aggressive public relations program of their own. Newspaper articles and radio programs proposed "the Injunction Law” whereby one found guilty of practicing medicine without a license was enjoined permanently from continuing to practice. Practicing healthcare without a license issued by the state became a jailable offense. In 1923 Attorney General Dan Moody met with the Texas Medical Association at a convention in Ft. Worth and promised them in an address that he would, “run all the chiropractors in Texas into the Gulf of Mexico.” The Lamar County Medical Association ran a series of ads in the daily newspaper, warning the people about such “quacks” being a menace to the “Public Health.” Originating from the Dallas County medical doctors and designed exclusively for the elimination of the chiropractic problem, the Injunction Law was passed in 1923. “Go to jail for chiropractic!” became a popular slogan among the chiropractic community. This chiropractic martyrdom captured the hearts of the press and the public at large. Crowds of up to 1200 people were said to have gathered to voice their outrage at the senselessness of these arrests. Over 100,000 pieces of mail poured into one prison regarding the arrest of a husband and wife chiropractic team who were forced to say goodbye to their twin 3-year-old girls at the jail door to begin their 100-day sentence. The Texas State Chiropractic Association again sought to remedy the monopoly on health care when Dr. Charles Lemly sought to introduce a chiropractic licensing bill in 1923. He had one favorable vote committed in the Senate. He also had the support of the governor, Pat Neff, the man who had helped defend Dr. S. T. McMurrain in his Hillsboro trial. The bill got a lot of attention in the media, but was promptly stifled in the public health committee of the Texas Legislature. The medical monopoly continued to strengthen its hold over the public. In Texas, the AMA’s state medical association's Council on Education and Public Instruction passed a resolution calling for a publicity campaign of its own regarding the practice of medicine, the status of cults and quacks, the effect of quackery on the public health, and called for a voluntary contribution of $10.00 (about $135 in 2015 dollars) from each Texas Medical Association member to pay for the campaign. By February 1924, about one-fourth of the membership had responded with their donations. Also in 1924 the first issue of the Texas State Chiropractic Association’s Journal publication was published. In 1925 Benito Mussolini gained dictatorial powers in Italy, Adolph Hitler published Mein Kampf, and in 1926, Hirohito became Emperor of Japan. Political coups in Greece, Poland and Portugal installed new dictatorships. The period from 1925 to 1929 also saw chiropractors come under increasingly heavy attack as the medical dictatorial attitude shifted from “educating the public” to strictly enforcing the medical practice act. The attacks on the chiropractic profession continued. During the Thanksgiving vacation of 1926, the Texas Chiropractic College moved from the corner of Dwyer and Nueva Streets to its San Pedro Park campus, where it stayed until the 1960's when the college was moved to Pasadena, Texas, and its present location. By 1927 the TCC curriculum had been expanded to twenty four months of instruction. That same year the 1927 convention of the Texas Medical Association dedicated a large part of its time to the “concerns of the association with strengthening the State Health Department and with controlling the increasingly powerful chiropractors.” The Executive Committee of the Texas Medical Association, meeting in El Paso in 1927, spent more than a full day reporting the activities of Dr. S T. McMurrain of Dallas, Texas, and planning how to stop him more effectively in the future. In 1927 the Dallas County Medical Society solution was to propose the creation of a new court which they felt could better handle the “practicing medicine without a license” charges. Organized medicine effectively had their own legal court. They went after the chiropractors again. 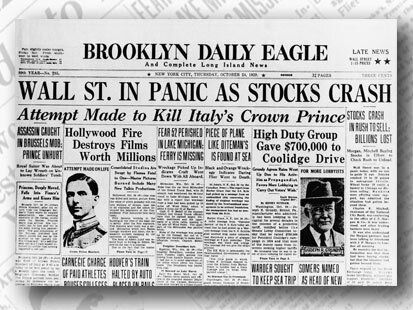 The Wall Street crash of 1929 brought about the beginning of the Great Depression. Texas’ Chiropractic college had prospered and did very well until the 1929 crash, but it too was struck hard by the financial woes the rest of the country was experiencing. The trio of owners went into a period of mutual sacrifice to hold things together but the times were very rough. Dr. C. B. Loftin lost his home, Dr. J. R. Drain also lost his home. But they managed somehow to keep the school alive. During the 1930s the unrelenting attack of the medical community did not let up. Dr. H. C. Allison, D.C., was charged with practicing medicine without a license several times. The charges so enraged Allison that he sued the Texas Medical Association for $50,000 for malicious prosecution. He had been found guilty of practicing medicine without a license and the judge fined him $50.00 and sentenced him to 30 minutes in jail. The suit was dismissed, but he carried the constitutionality of the Medical Practice Act of Texas to the U.S. Supreme Court for a test, after being convicted under its provisions in 1933. The U. S. Supreme Court declined to act on Allison's suit. After WWI and during the Great Depression, organized medicine continued to disparage those that were not of its membership. The latter half of the century would see chiropractic licensure finally succeed, but the hostilities between the medical monopoly and those who practiced chiropractic continued.